The age of neoliberalism came to an end ten years ago, or two, depending on who you ask. Some say it died spectacularly in September 2008, as the bank bailouts and liquidity injections that followed the collapse of Lehman Brothers revealed its inherent deception—an appetite for massive government interventions hiding behind a zealous free market facade. Others date its demise to the second half of 2016, when a transatlantic voter revolt against governing elites took Britain out of the European Union and placed a protectionist, self-proclaimed “nationalist” in the White House. There’s little doubt that neoliberalism has been taking it on the chin lately. Faced with record levels of inequality, even the International Monetary Fund, for decades the global enforcer of free market dogma, acknowledged in 2016 that several of its longtime tenets—namely, financial deregulation and small government—have been “oversold.” The signature project of neoliberalism—globalization—has come under fire, its rhetoric rendered so politically toxic that even conservative politicians like United Kingdom prime minister Theresa May can now be heard railing against “untrammeled free markets.” These days, the undertakers of the neoliberal order are a diverse bunch, ranging from stalwart lefties like Yanis Varoufakis and Nobel prize-winning economist Joseph Stiglitz to the libertarian, Koch brothers-funded Reason magazine. And yet, it may still be too soon to proclaim the age of neoliberalism over. His protectionist trade policies aside, Donald Trump’s economic agenda—deregulation, and cutting taxes for corporations and for the rich—comes straight out of the neoliberal handbook. The enduring popularity of Barack Obama and Justin Trudeau (and, briefly, Emmanuel Macron) also shows that neoliberalism may still find a second wind, so long as it’s softened to appear a bit more socially progressive, and is presented with a winning smile. In fact, there’s no reason to believe that neoliberalism can’t live side by side with nativist populism and so-called “economic nationalism.” Neoliberalism, Harvard economist Dani Rodrik noted in the Boston Review late last year, can broadly be defined as a “preference for markets over government, economic incentives over social or cultural norms, and private entrepreneurship over collective or community action”— but yet it is also a “slippery, shifting concept” that is “notoriously hard to pin down.” And as historian Quinn Slobodian demonstrates in Globalists, his excellent history of neoliberal thought, there isn’t a whole lot of daylight between the forefathers of neoliberalism (Friedrich Hayek in particular) and the populist would-be authoritarians of today. Israel, by and large, has been absent from these discussions. As John L. Campbell notes in his foreword to the 2016 essay collection Neoliberalism as a State Project, Western scholars studying neoliberal regimes have so far generally ignored it, partly due to its location (i.e. not the West), but also, he suggests, because they tend to see it as too complicated. The “mind-boggling” complexities of Israel and its economic history just don’t fit neatly into the dominant, largely Western-centric models. In fact, the complexities of its economic evolution “challenge some of their most basic assumptions about how national political economies operate,” which is perhaps why it has been mostly ignored. This is certainly true in the case of Israel’s neoliberalization. Over the past 33 years, Israel has transformed its economy by implementing a long series of neoliberal reforms. It embraced the tenets of globalization, subsequently experiencing what is often described as an “economic miracle,” a period of sustained economic growth led by exports and technology. At the same time, it leaned into ultra-nationalism with the same gusto: it adopted an increasingly isolationist approach to national security and foreign policy, deepened the occupation of the Palestinian territories, expanded the settlement project full speed, and launched a wave of anti-democratic legislative initiatives directed towards stifling dissent both at home and abroad. There’s a reason why in recent years, Israel has been keeping company with the detractors, rather than the defenders, of globalization. At first, these two trajectories might seem to be at odds with each other. 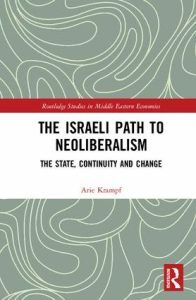 However, as Arie Krampf argues in The Israeli Path to Neoliberalism, the two are part and parcel of the same worldview. 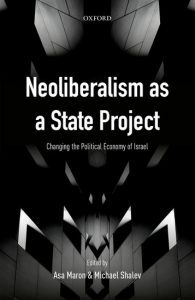 Despite its many neoliberal reforms, Israel never fully embraced neoliberalism, at least not in the way that the term has been used across the Western world over the last three decades. It embraced globalization but never bought into globalism, the set of liberal principles that undergirded financial deregulation and the liberalization of international trade and labor markets. Instead, it developed its own nationalist form of neoliberalism, in which free markets, individual rights and private property are not an end in themselves, but rather a tool used by the state to further its own interests—so not “markets over the state,” but rather “markets in service of the state.” Dispensing with the liberal part of neoliberalism, it managed to use neoliberal reforms as a policy tool to realize its long-desired political project: erecting an “economic fortress” that shields it from the potential political consequences of its security policies. In that, Israel emerges as a harbinger of things to come. In a world in which, as Slobodian recently wrote in the New York Times, far-right leaders around the world are pursuing their own bastardized strains of neoliberalism, “cherry-picking aspects of globalization while rejecting others,” Israel serves as the ultimate proof that a country can practice globalization without subscribing to any of its stated values. 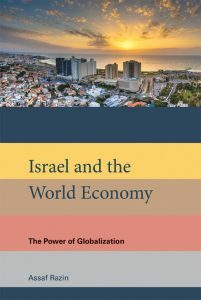 In his book Israel and the World Economy, Tel Aviv University professor (emeritus) Assaf Razin touts Israel’s economic successes in recent decades as a “counterexample” that demonstrates the benefits of embracing globalized finance, immigration, and free trade, thus disproving critics of globalization from both the left and the right. In reality, however, the story of Israel’s evolution into a market economy illustrates something far more insidious: the possible sustainability of our current political moment. “In the process of policymaking,” writes Krampf, “ideas are not chosen because they are believed to be truthful.” This dictum certainly applies to Israeli economic policy, which has always excelled in doublespeak and shifting rhetoric for the purpose of justifying policies that serve either the interests of the state, or various oligarchic groups—or, as has often been the case, both. It’s generally agreed that Israeli capitalism was born on July 1, 1985, when Israel’s cabinet ministers emerged from a grueling emergency meeting that had lasted nearly 24 hours with a sweeping plan to curb the young nation’s deepening economic crisis. Inflation, which had spiraled out of control since the 1973 Yom Kippur War and the subsequent oil price shocks, was at that point at an annualized 400 percent. Plagued by hyperinflation and on the verge of bankruptcy, the crisis was widely seen as an existential threat, “as serious a threat to the security of Israel as any hostile neighbor in the region,” as a New York Times report put it in late 1984. The immediate purpose of the Economic Stabilization Plan—a mix of temporary price controls, wage freezes, budget cuts, currency devaluations and structural reforms—was to constrain the crisis and end hyperinflation. But its cumulative effect was far greater: it represented a profound change of course that shifted the balance of power within Israel’s political economy and altered Israel’s society and culture for good. The common narrative of this transformation holds that on July 1, 1985, Israel transitioned, or “matured,” from socialism to capitalism. The Stabilization Plan, in this view, wasn’t just a change in economic policy; it also marked an ideological shift among Israel’s leadership, which moved away from the socialist values of solidarity and collectivism upon which Israel had been founded and, inspired by the rising power of private businesses and American “soft power,” imported free market ideas that placed it on a path toward unfettered, ruthless capitalism. This narrative, writes Krampf, “is appealing: it is simple, it conforms to well-established ideologies in Western advanced economies, and it fits well with human tendencies to think about the past in nostalgic terms.” But it also relies on misleading terminology and a largely imagined past. Israel was never, in fact, a socialist country. Although rarely highlighted in most accounts of its economic history, Israel always had a thriving private sector. Its reliance on foreign capital, particularly funds from the US, meant that Israel could never fully embrace socialism. In Israel, in contrast with classic narratives of neoliberalization, the turn toward free-market capitalism wasn’t the result of an ideological sea change or external pressures. Instead, per Krampf, it represented an adjustment of national strategy. Israeli policymakers had little to no interest in the liberal ethos of individual rights and economic freedom. Likewise, it wasn’t the free market ideology of its business elites that drove reforms. Many prominent businessmen, in fact, bemoaned the subsequent loss of state subsidies, while many others continue to rely on generous subsidies and other forms of state intervention to this day. And while Israel did face some US pressure to implement structural reforms prior to the Stabilization Plan (US Secretary of State George Shultz famously spurned then Prime Minister Shimon Peres when the latter arrived at Washington to request emergency aid in late 1984, believing that Israel had not gone far enough in its attempts to alleviate the crisis and demanding more serious budget cuts and structural reforms), it wasn’t forced to implement free-market reforms by the World Bank or the IMF, as was the case with other developing countries. Instead, Israel’s neoliberalization was initiated and driven by the state itself. Neoliberalism, as Asa Maron and Michael Shalev explain, was a “state project” led by government bureaucrats within the Ministry of Finance and the Bank of Israel. Yet the goal of that project was never liberalization for liberalization’s sake. The Stabilization Plan instead reflected Israel’s decision to advance the export-based growth strategy it had pursued since the late 1960s, which was seen as the best way to reinvigorate the economy and maintain Israel’s military standing in the wake of the 1971 collapse of Bretton Woods, the monetary system that undergirded much of the postwar growth. The process of neoliberalization seems to have had two main purposes. One was a power reshuffle that effectively shifted much of the economic decision-making power away from elected officials, into the hands of unelected functionaries. In the aftermath of the Stabilization Plan, the Ministry of Finance and the Bank of Israel emerged as the two most powerful state bodies outside of the Israeli military. Together, they have been responsible for the bulk of neoliberal reforms implemented by Israel since then. Many of these structural reforms weren’t meant to reduce the state’s involvement in the economy so much as reorganize it in a way that enhanced and entrenched the power of economic bureaucrats, who saw politicians as incompetent populists responsible for Israel’s near-collapse. In the wake of this power reshuffle, explain Maron and Shalev, economic bureaucrats became Israel’s most powerful and proactive change agents. But, much like Patinkin, even the most liberal-minded of them did not contest the basic condition that has guided Israel’s economic regime since its inception—the dominance of the state’s national security interests in shaping economic policy. To the extent that economists shaped policies, it was because their agendas served Israel’s national security goals. All this makes an assessment of the historical legacy of Israel’s neoliberal transformation a bit complicated. On the face of it, it has been a rousing success. With a GDP per capita of $40,270 in 2017, compared with $6,495 in 1985, Israel now ranks among the world’s 25 richest countries. External debt, which stood at 80 percent of GDP in 1985, has since fallen below 10 percent. Unemployment is at an all-time low. Inflation—once a chronic problem—is near zero, and Israeli startups are being acquired by multinational corporate behemoths on an almost weekly basis. The most common narrative of the country’s economic transformation is the one famously popularized by Dan Senor and Saul Singer in their 2009 book Start-up Nation: a tiny, formerly austerity-stricken socialist country that, despite being surrounded by enemies and in a constant state of war, managed to turn itself into a global innovation powerhouse within a short timeframe, thanks to its spirit of ingenuity and a bold and visionary series of free market reforms. But this story ignores both the enormous costs that this process has imposed on Israeli society and the widespread discontent among Israelis over the direction in which their economy is headed. If in the mid-1980s, as Sharkansky writes, Israel had “an attractive society and a problematic economy,” then today it could be described as an attractive economy and a problematic society. Like most other advanced economies, Israel has experienced a massive increase in inequality in the last four decades, in conjunction with the neoliberal reforms it enacted. Its income inequality and poverty rates are now among the highest in the OECD. Government spending, at 40 percent of GDP, is below the OECD average, owing to deep and systematic cuts to the welfare state. At the same time, the large-scale privatizations and liberalized capital flows that accompanied Israel’s transition from a planned economy to a market-based one turned its public monopolies into private ones, creating a highly concentrated economy that enriched a coterie of business tycoons and nurtured an ecosystem of cronyism and corruption. With oligarchs regularly using their power to influence regulators, politicians and financial institutions to do their bidding, the cost of living soared. Widespread discontent over this state of affairs finally erupted in the summer of 2011, launching Israel’s largest-ever social protests and forcing historic regulatory reforms. The level to which Israelis have become disillusioned with the current economic regime was evident in a recent survey conducted by the financial newspaper Globes. A majority of the Israeli public, 56 percent, prefer an economy with “significant government oversight” according to the survey, compared with the 36 percent that expressed a preference toward a competition-based free market economy. The results were similar across demographic groups, age groups, socio-economic status and, tellingly, party affiliations. The point of neoliberalization, however, was never to improve individual welfare, but to help Israel achieve its national security goals and realize its longtime goal of economic independence. This has been a core aspect of Israel’s economic agenda since the 1950s, uniting political leaders from both the left and right worried that Israel’s dependency on the kindness of other nations (mainly the US) left it vulnerable to outside pressures. For decades, Israel attempted to become a self-sustained economy, free from the ability of superpowers to influence its foreign and security policies. In 2003, it finally turned its once-chronic current account deficit into a surplus, making “the dream of economic independence,” as Krampf put it, into reality. But achieving the goal of economic independence demanded a dire trade-off between national and social welfare. The bargain that underlay the Stabilization Plan of 1985—maintaining generous subsidies for exporters while making workers shoulder most of the burden—is to this day the basic arrangement that characterizes the Israeli economy. This was not due to a belief in the benevolence of markets, or the personal liberty that they supposedly provide, but a conscious “social sacrifice,” one that was made and is constantly being re-made by Israel’s leaders to achieve national security goals. In Razin’s telling, at a time when globalization is under attack for decimating communities across the developed and developing world, Israel’s integration into the globalized marketplace can be seen as a remarkable success story—a “counterexample” that proves globalization’s power to do good. It is hard to imagine anyone disputing his assertion that globalization played a crucial role in Israel’s economic success. Yet, in the current political context, the story Razin tells reads as far too simplistic. To Razin’s credit, he does not ignore some of the social costs of Israel’s turn toward neoliberalism: rising inequality and growing polarization, he notes, are “fertile grounds for political upheaval.” But he does ignore the political implications of the free market project. Tellingly, he presents the absorption of nearly one million Soviet Jews into Israel following the collapse of the USSR as a “unique example of free migration,” ignoring the discriminatory nature of Israel’s immigration policy. Is Israel, to which in effect only Jews can immigrate, really the exemplar of an open-borders country that Razin makes it out to be? The recent wave of racism, fearmongering and xenophobia whipped up by very senior policymakers against African asylum seekers seems to make a mockery of that assertion. There’s a reason why in recent years, Israel has been keeping company with the detractors, rather than the defenders, of globalization. One would be hard pressed to find a government that has done more to legitimize far-right ethno-nationalist movements than Israel’s, which counts as its biggest supporters these days not the liberal globalist elites of Davos and Brussels (although they too often laud its economic success), but the nationalists and white supremacists of Europe and the US, who see it as a model for their desired ethno-state. It’s generally agreed that Israeli capitalism was born on July 1, 1985, when Israel’s cabinet ministers emerged from a grueling emergency meeting that had lasted nearly 24 hours with a sweeping plan to curb the young nation’s deepening economic crisis. Perhaps no other political figure in Israel personifies the term “market nationalism” more than Benjamin Netanyahu, soon to be Israel’s longest-serving prime minister. Netanyahu, an MIT-educated neoconservative, has been preoccupied with “economic independence” since his early days in politics. He has mentioned the term in speeches to Congress both in 1996 and in 2017, both times in the context of achieving independence for Israel from US aid. As prime minister and finance minister, Netanyahu spearheaded a long list of neoliberal reforms — privatizations, regressive tax reforms, deep cuts to social welfare — that drastically reshaped Israel’s economy, gaining it entry to the OECD but also reducing public social expenditures “at a rate without parallel,” according to one OECD report. These reforms, per Krampf, helped Israel build an “economic fortress that shelters it economically and politically,” enabling it to pursue foreign and domestic policies in stark contrast with global norms, as well as the interests of some of its major trade allies. In the 13 years since the end of the Second Intifada, Israel has gone through a war in Lebanon, multiple rounds of fighting in Gaza and the complete paralysis of its peace process with the Palestinians — but none of these made even a dent in its economic growth. At the same time, Israel deepened and bolstered its occupation of the West Bank, imposed a devastating years-long blockade on Gaza, and pursued anti-democratic policies meant to silence dissent at home and abroad. All the while, its GDP kept growing. This was not only “an outstanding economic achievement,” notes Krampf, “but also a political one.” In 2016, US President Barack Obama conceded that point, admitting that “in some ways because Israeli society has been so successful economically, it has, I think, from a position of strength, been less willing to make concessions.” Israel had successfully managed to weaponize its economy. All this, however, placed an enormous burden on Israelis as individuals. 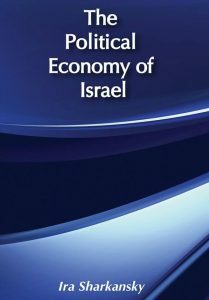 Market reforms had immunized Israel to political pressure, but also turned it, to an even greater extent than other neoliberalized economies, into “a rich country with poor citizens.” Whenever Israelis critique their government’s economic policies, they encounter modern reiterations of Moda’i’s militarized language. In the summer of 2011, at the height of Israel’s “summer of discontent,” then-Finance Minister Yuval Steinitz explained why he opposed the demands of the protesters in this manner: “We are in the midst of an economic world war, a defensive battle over the Israeli economy for the benefit of State of Israel.” Razin’s narrative might present Israel’s trajectory as a model of successful cooperation and integration with the world economy, but Israel’s policymakers prefer to view it as an all-out war. Is the social burden of shouldering Israel’s neoliberal regime worth it? Krampf, who raises this question at the end of his book, leaves it open. Perhaps a way to answer it is to look at what may lie ahead. If Netanyahu, a politician with neoliberal tendencies that nevertheless still abides by the labor movement’s collectivist ethos when it’s politically convenient, represents Israel’s present, then current Justice Minister Ayelet Shaked represents the logical next step. Shaked, whose meteoric ascent through the ranks of Israeli politics has put her on the radar of international media as of late, is a rising star of the far-right. An extreme isolationist in her foreign policy, she is among the architects of the controversial Nation State Law, which includes provisions that arguably relegate non-Jews to second-class citizenship. Shaked is also the first full-fledged neoliberal of Israeli politics (she self-identifies as one), espousing a conservative worldview heavily influenced by American think tanks like the Cato Institute. She regularly quotes Milton Friedman and Ayn Rand (she’s a fan), extolls trickle-down economics, and seems to regard any form of regulation of business as fundamentally nefarious. Her political views are not in tension with her libertarianism, but form a political agenda that personifies the most extreme variation of Krampf’s market nationalism. Asher Schechter is a New York-based writer, previously senior features writer for Haaretz. His book Rothschild: The Story of a Protest Movement appeared in Hebrew in 2012. Asher Schechter is a New York-based journalist and author, previously senior features writer for Haaretz. His book "Rothschild: The Story of a Protest Movement" appeared in Hebrew in 2012.